I have been working on cleaning out the freezer the last few weeks. Earlier this week I had a baking/cooking day. 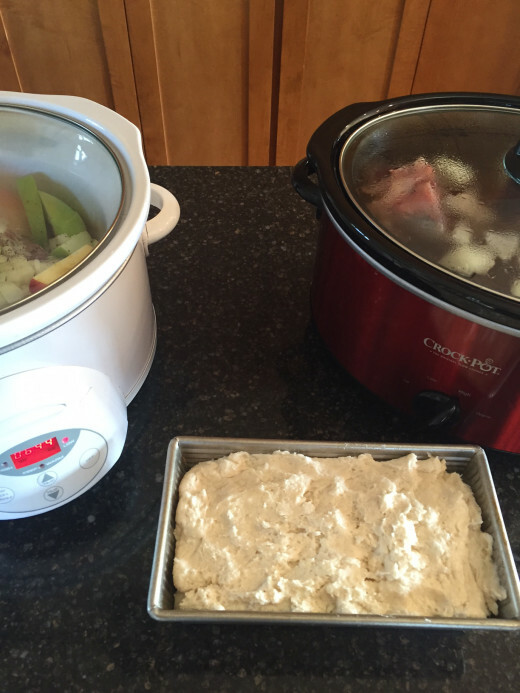 I had two crock pots going. One with a pork roast in it and one with some beef soup bones that I used to make homemade broth. I also made a loaf of my Light and Fluffy Gluten Free Bread. 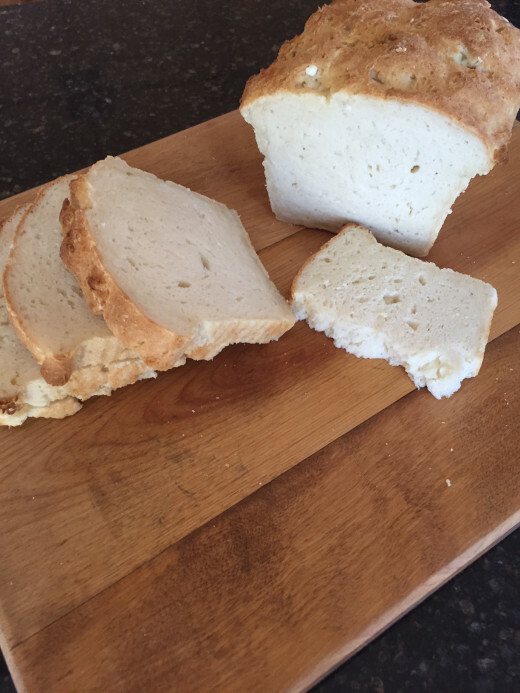 Since I was making gluten free bread I decided to do a quick Facebook Live video sharing a few of my favorite gluten free bread tips. Facebook Live is way outside my comfort zone. Like very very very outside my comfort zone. But I love sharing tips and ideas for making life in the kitchen easier, so I am giving it a try. I hope to do one or two a week. Some will be general kitchen topics and some will be gluten free topics. Let me know if there are any topics that you want me to cover in future videos. I would love to hear what you all want. My oldest daughter loves to crochet. A friend taught her when she was about 8 and she took right to it. She loves to work on projects to give as gifts. This blanket was one of her recent ones. I LOVE it! It turned out so cute. I made homemade chocolate pudding this week. 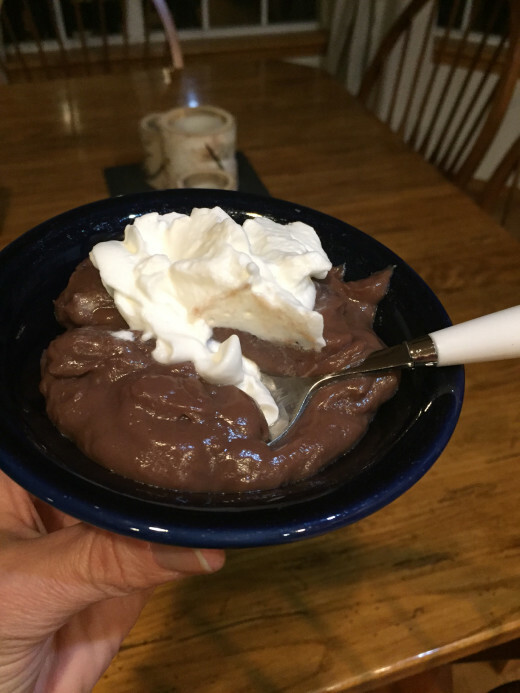 Because there are some days that just require a bowl of homemade chocolate pudding with whipped cream on top! If you have not tried my homemade chocolate pudding you need to. Homemade pudding is one of my favorite things to make. It is so much better than what you can buy at the store. So much better! It is fall. That means it is hunting season. 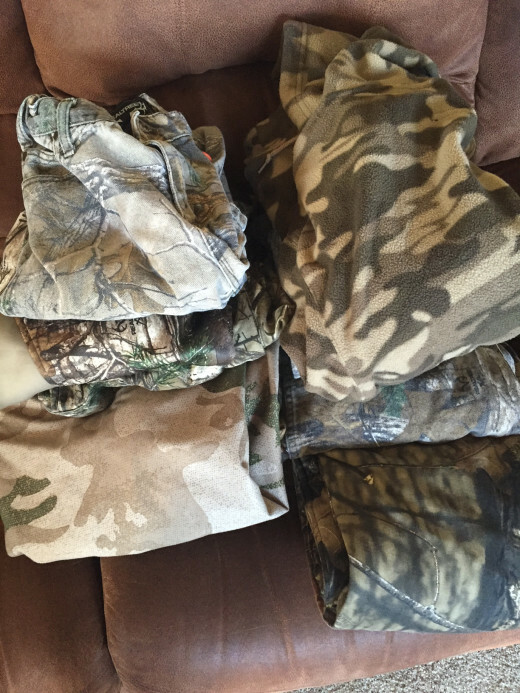 It also means that camo and hunting gear has exploded all over my house. This is just a very small part of the pile that was in my living room earlier this week… I was going to take a picture of the whole pile but decided to spare you the look into how much hunting stuff my husband and kids have… Can anyone else relate to hunting season? The three books I finished this week. Hillbilly Elegy was good. It was an look at part of America must people don’t want to talk about. I enjoyed it. It is a tough read. It is real life stuff. Not easy to read. It had a lot of language in it too. Some of which helped explain the story better, but some of it could have been left out. I read a review by a blogger this week that had a totally different view on this book than I did. It is always interesting to see how a book impacts different people. 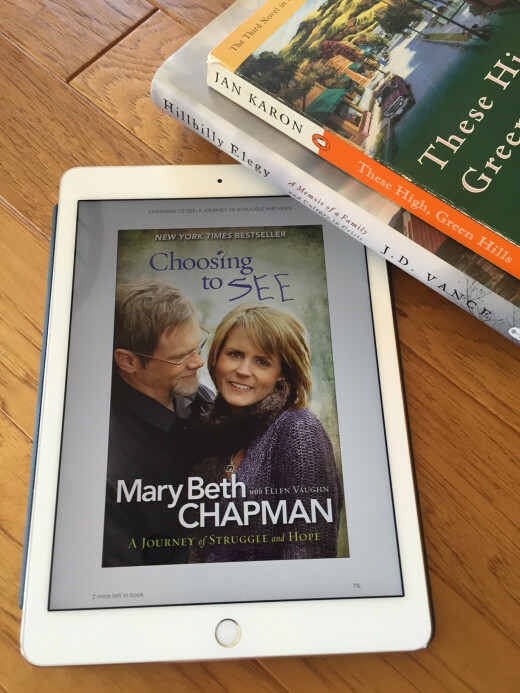 I bought Choosing to See a few months ago when the Kindle version was on sale. It was slow at the start but it had me in tears reading about their daughter and all they went through. Overall I really enjoyed it and I am glad I bought it. The Mitford book was simply because I needed a lighter mindless type of book to read. I enjoyed it, but think I enjoyed book 1 and 2 a little better than this one. I love your daughter crochet blanket. 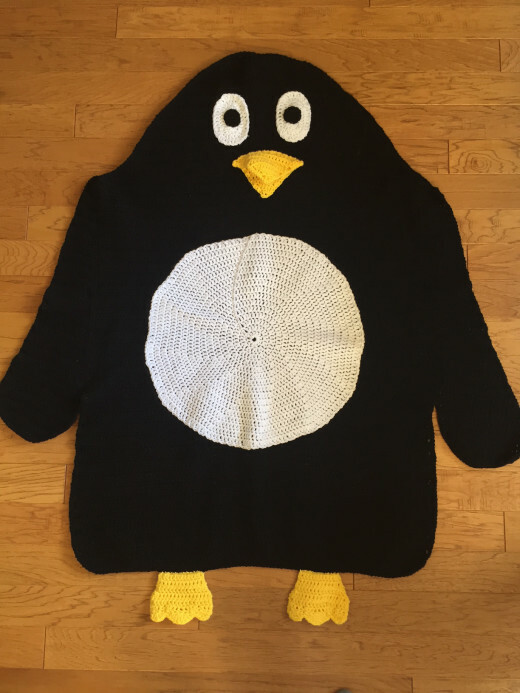 I love to crochet too. I am currently reading Mandy by Julie Andrews Edwards, Escape from Mr. Lemoncello’s Library, 90 minutes in heaven, and On A Night Like This. I have read a few of the Mandy books and my girls loved them! I think one of my girls have read almost all of them. I will have to check out the Escape from Mr. Lemoncello’s Library. Oh my! Can I relate to the camo! Archery season started in our area last Saturday. Its a big deal in our home! Best wishes for a successful season! Thanks. And I hope your family has a successful season as well.